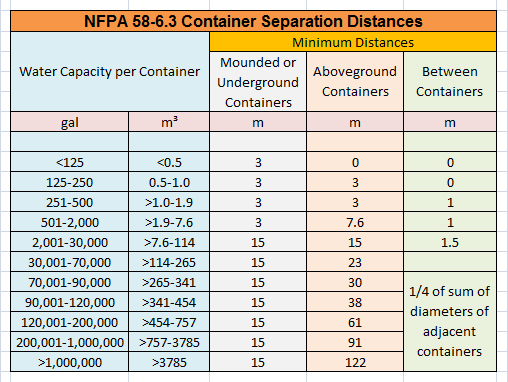 The distance requirements for propane tank locations are dependent upon the container size. Distance rules are applicable to propane tanks and their connections in relation to what surrounds them, whether it’s a house or another propane tank. Care and consideration of surrounding buildings, driveways, awnings, house or building openings, property lines and more need to be taken into account when placing a propane tank in a legal and safe location.